1. You need to start with Clean Skin before you do ANYTHING else. There’s just no way around this. Washing your face removes the dirt, oil, and toxins build up on your skin all day. It’s one of the biggest things you can start doing right now to keep your skin looking its best for the next couple decades. 2. Wear your Sunscreen! The truth is sun can damage our skin. Short-term exposure dehydrates skin and weakens it against environmental stressors. Over the long term, UV rays decrease levels of collagen and elastin, causing wrinkles, sagging, and pigment issues. Apply sunscreen before going out to prevent this damage. Try to find an all-natural mineral based lotion to keep your in top shape. 3. Don’t forget to hit the Gym. Curls for bigger biceps… and a healthier complexion? Yep, it’s true. While strength is great, what will really benefit your skin in the gym is overall fitness as this promotes greater blood flow to the skin to help it receive nutrients and repair damage faster and more efficiently. We've got an all NATURAL charcoal face cleanser that can't be beat! 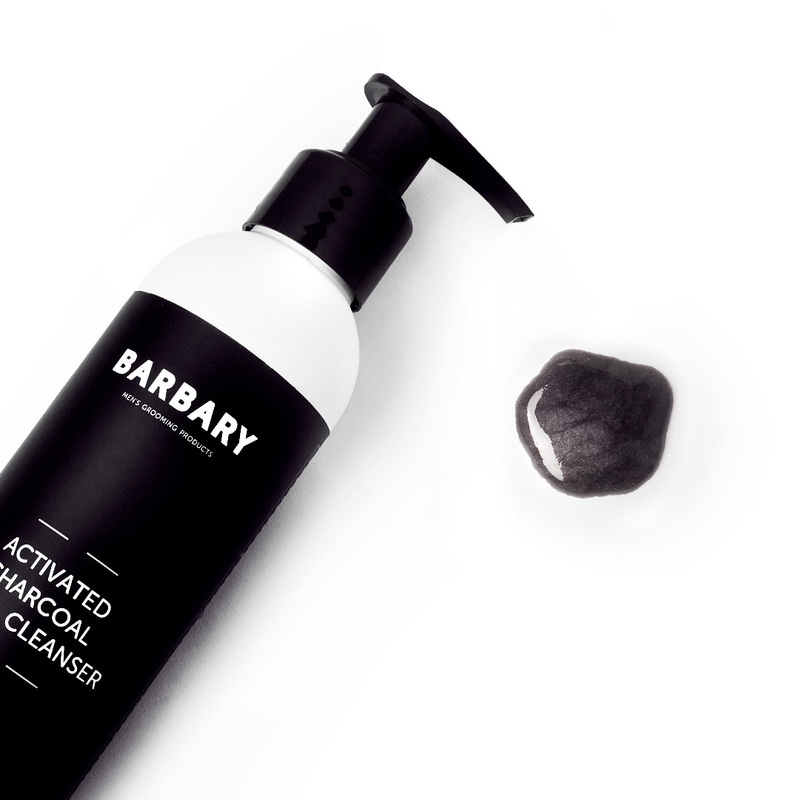 Our charcoal cleanser removes toxins from the skin's surface and wipes out dirt, sweat, and oils. Leaving your face refreshed, radiant, and protected. The formula is fragrance-free, sulfate-free, paraben-free, and cruelty-free without any harsh preservatives. We only use the freshest Wildcrafted, Organic, and Natural Ingredients. Most guys like to pretend their skin is made of iron: impervious to wear and tear. While this might be true for Tony Stark, the rest of us have to actually take care of our skin to keep it in top condition. This starts with daily cleansing. There’s just no way around this. Washing your face twice daily is one of the biggest things you can start doing right now to keep your skin looking its best for the next couple decades. Clean skin is healthy skin. The importance of daily cleansing for men is to get rid of dirt, oil, and environmental toxins that build up. The goal here is to prevent damage and the onset of wrinkles, fine lines, and sagging. Cleansers with hydrating compounds like Aloe Vera, Coconut Oil, and Olive Oil are great at promoting elasticity that will keep your skin looking young for years to come. And our cleanser has all 3 of these along with a host of other natural & organic ingredients to help you look your best. Activated charcoal, which is carbon that's been treated to increase its absorbency, has been used as an all natural anti-toxin for years. It acts like a magnet to attract and absorb dirt and oil. And the experts say that theory holds water. "When dirt and oil in your pores come in contact with the carbon, they stick to it and then get washed away when you rinse," explains cosmetic chemist Ni'Kita Wilson. Throughout the day, toxins from the world around us clog our pores. These toxins clog pores, damage skin, and lead to premature aging . Activated charcoal 'when used in a facial cleanser' binds to and helps pull the dirt & toxins out of your skin keep it young and healthy. While other face washes use harmful chemicals that leave your skin irritated and dry, our charcoal face wash is made with all-natural and organic ingredients that your skin will love. We never use synthetic fragrances or harsh preservatives. Weve designed this scrub to be anti-aging and hydrating. This means a DEEPER CLEAN for your face and younger, clearer, HEALTHIER SKIN for you. Our mission at Barbary is to create premium natural products. We only use the freshest WILDCRAFTED, ORGANIC, and NATURAL ingredients. Each item is handcrafted in small batches. We never cut corners. This is why our skincare products are the HIGHEST QUALITY natural products around. We stand by our 100% money back HAPPY SKIN GUARANTEE. If for any reason you are not delighted with your purchase, simply contact our friendly support staff and you will promptly be given a full refund...No questions asked! I love this face wash. It's strong enough that my 14 year old with semi bad acne can use with great results yet gentle enough that I can use it with my extremely sensitive skin and my husband can use after shaving.